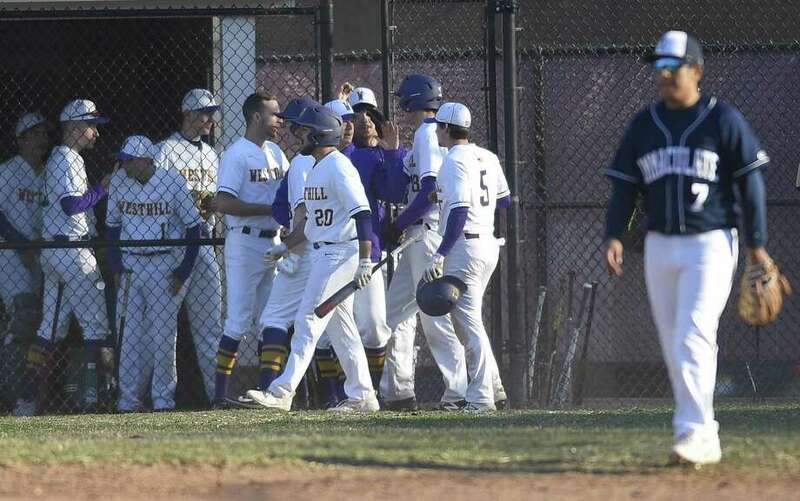 STAMFORD — There are many exciting days left this 2019 season for the Westhill baseball team. But Westhill coach D.J. Mulvany got to see some signs in Wednesday’s 8-7 non-league, home victory over Immaculate that should carry the Vikings in good stead going forward. And thanks to a textbook sequence in the bottom of the seventh, Westhill is sitting pretty at 2-0 overall. Correction: An earlier version of this story incorrectly stated Westhill was ranked No. 5 in the GameTimeCT Top 10 baseball poll. The Vikings are not ranked.